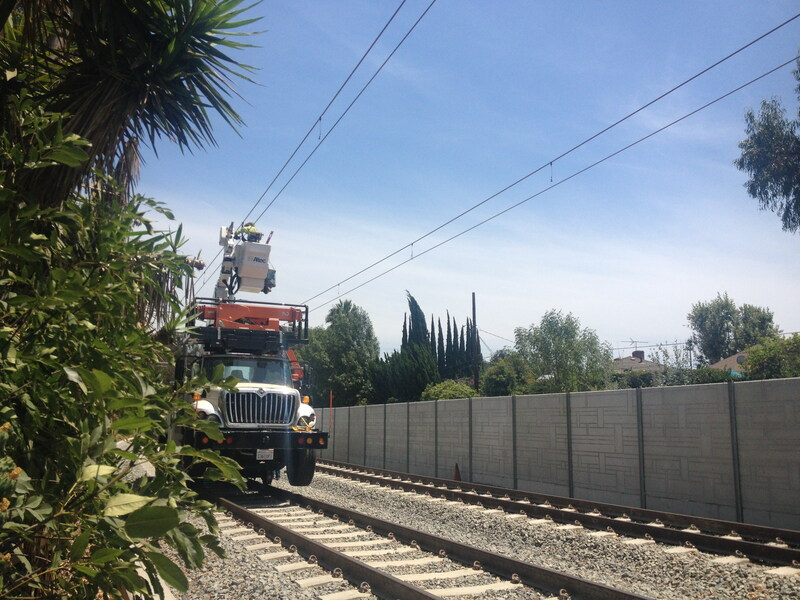 Nice view of the new overhead wires that will deliver power to trains along Expo Line Phase 2. The photo was taken on the stretch of track between the 10 freeway and Overland Avenue. The six-mile rail project will extend the Expo Line from Culver City to downtown Santa Monica with seven new stations. The project is forecast to open in early 2016 and is funded primarily by the Measure R half-cent sales tax approved by Los Angeles County voters in 2008. Will they open stations early as they go along on the Expo line? The Transcontinental Railroad would still be under construction at this rate. Why is it that Herzog and the major railroads are able to construct new rail so much faster? That would be awesome if the opened the stations as they were ready. Unfortunately, previous posts have stated that it is infeasible for signal timing, testing, and other electronics to be configured on a per station basis.